This Sunday, a big purple cloth will make its first appearance in our worship space. This cloth is one way we will mark Lent as a distinct season within the year. This cloth is symbolic of the long journey to Jerusalem Jesus makes in Luke’s gospel. He literally “sets his feet” towards Jerusalem, even though he knows the suffering that awaits him there. During Lent, we commit ourselves to being a sympathetic witness, journeying with him and learning from him as we make this pilgrimage. The Lenten scriptures reveal a common theme running through each week, a theme which intertwines Jesus’ journey with our own. 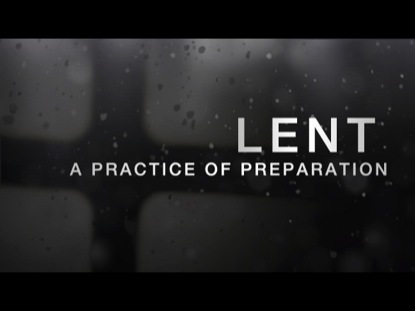 Take time this week to read the scriptures for the first Sunday of Lent. What themes emerge as significant for you? How do they reveal Jesus more clearly to you? What is the invitation God is extended to you as you read them? To receive Southpoint news by email, fill out this form and click Sign Up.